In their final weekend of the 2015 MLB season the Boston Red Sox will face the Cleveland Indians in a three game concluding series. 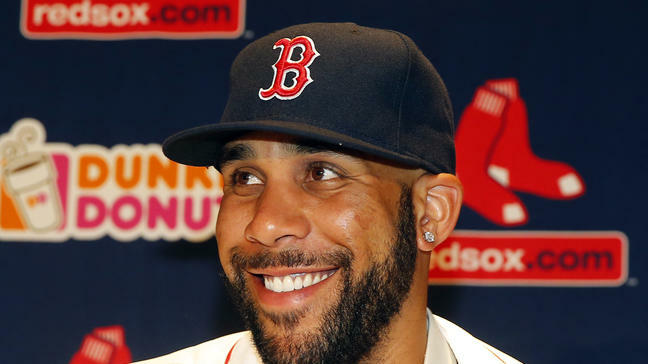 It will put to an end a rather turbulent, up and down season for the Boston Baseball Team. Besieged by injuries, frequent personnel changes, and their manager’s sickness during an important part of the season it was very difficult for this year’s team to string together any continuing sense of camaraderie or a team-building atmosphere. Amidst all the turmoil, the Red Sox were still able to bounce back to have a spectacular record in September, making them hover around the .500 level as the regular season closes. Some players like David Ortiz (who in a definite Hall of Fame highlight treated fans to his 500th Career Homerun) ,Xander Bogaerts(First career Grand Slam last week) , and Brock Holt(the Lone All-Star Representative) put up amazing numbers that show they can contribute to the team for years to come. Players like Mookie Betts, Blake Swihart, and even Jackie Bradley Jr. had an amazing amount of playing time where they removed any doubts to show that they can compete at the MLB level consistently. These prospects and one of the better performing Farm Systems in MLB should relieve many sighs and worries within Red Sox Nation about the future of the club. The main needle in the foot of the Red Sox this season however was their lack of pitching. Clay Buchholz started strong but the heavy load caused him to be injured and he finished the season on the DL. Pitchers like Miley, Porcello, and Rodriguez displayed moments of brilliance where they could step up and pick up the slack but the Sox are going to have to trade for consistent starters to go work along with a re-strengthened bullpen if they want any real chance of competing next season. Luckily, Dave Dombrowski has been proven and hired to be able to assemble and re-build amazing pitching staffs. Sadly, for the current Red Sox it looks for now like a lot of re-working will have to be done. Lefty Rookie Henry Owens goes to the mound to show his abilities Friday Night, with a Pitcher to be Determined on Saturday , and Rick Porcello pitching the final game on Sunday. Owens has had some decent games and his E.R.A. is solidly in the 3’s (not bad for a rookie) he looks to be part of the as of now unclear puzzle of Re-building a pitching squad that is in much need of help. Let’s hope the Red Sox Re-building process goes smoothly during the end of this season, through the Off-Season(including Winter Meetings), and into early next year. This Sox Fan thinks it may take most of an exciting 2016 which will be a return to playoffs season that will set up the Red Sox to be back at the top in 2017, 2018, and beyond. So please be patient Fenway Faithful as we continue to say Go Sox Go.